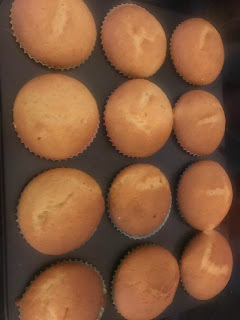 So, I thought that I would do a couple of things in this post. 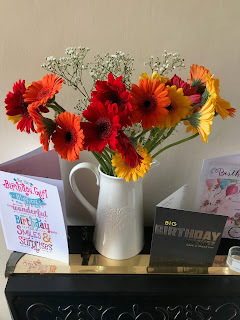 I have two food ideas to share and a little Health update. So firstly, as I mentioned yesterday...we had yet to have our pancake day. But today that all changed! 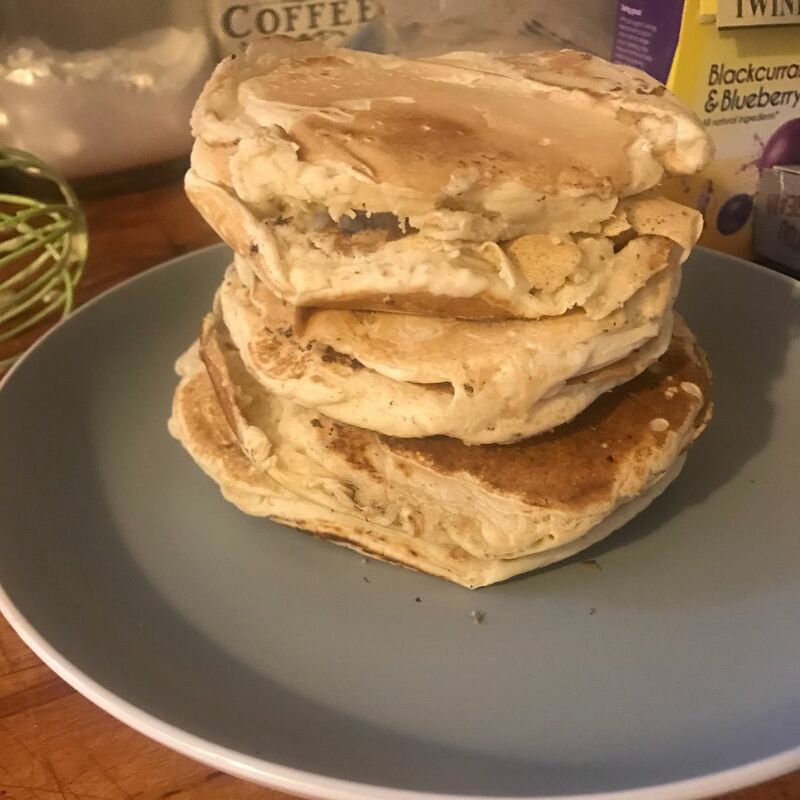 I made some yummy Vegan pancakes using a recipe that I have already shared before. 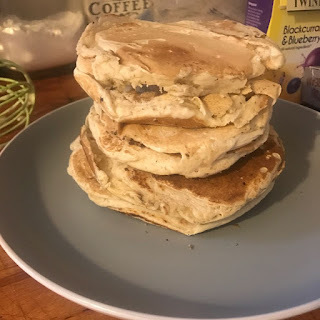 I made a whole stack and shared them with Luke. 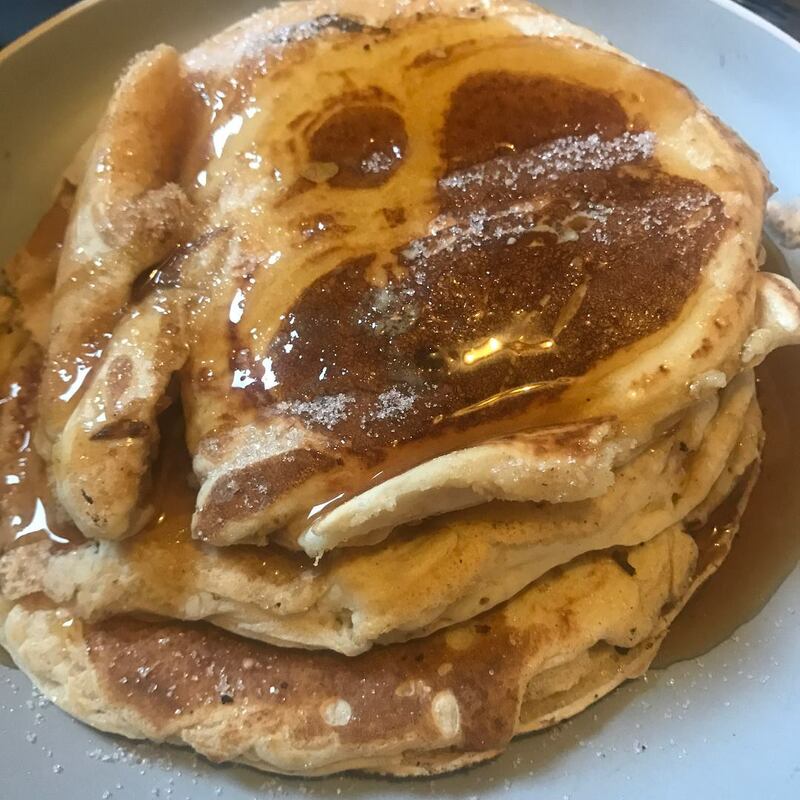 I covered them in maple syrup and sugar. 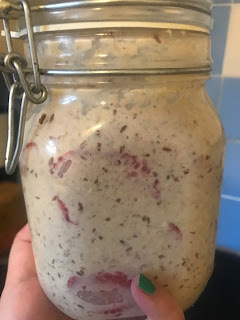 So the second food idea that I have to share is my latest overnight oats creation. Oats with chia seeds, honey and Strawberries. 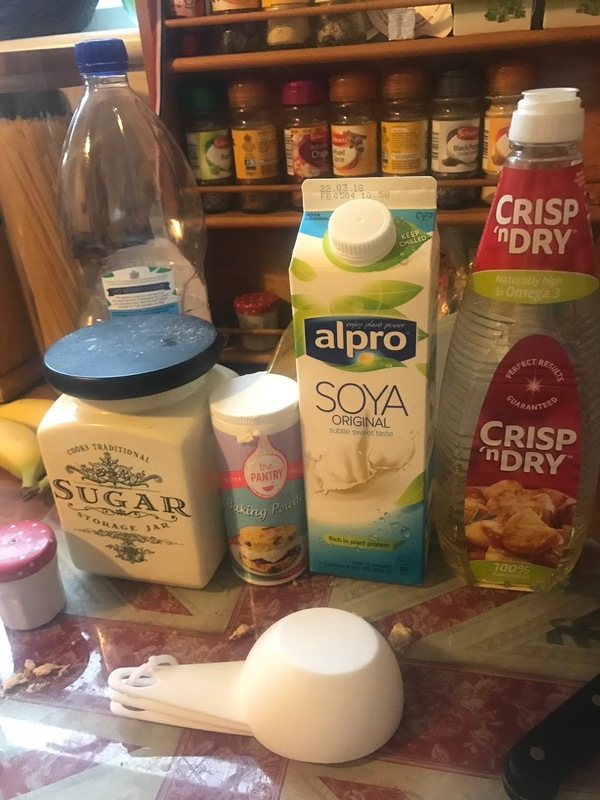 To make it I used two cup of overnight oats, two cups of Alpro Plant milk. 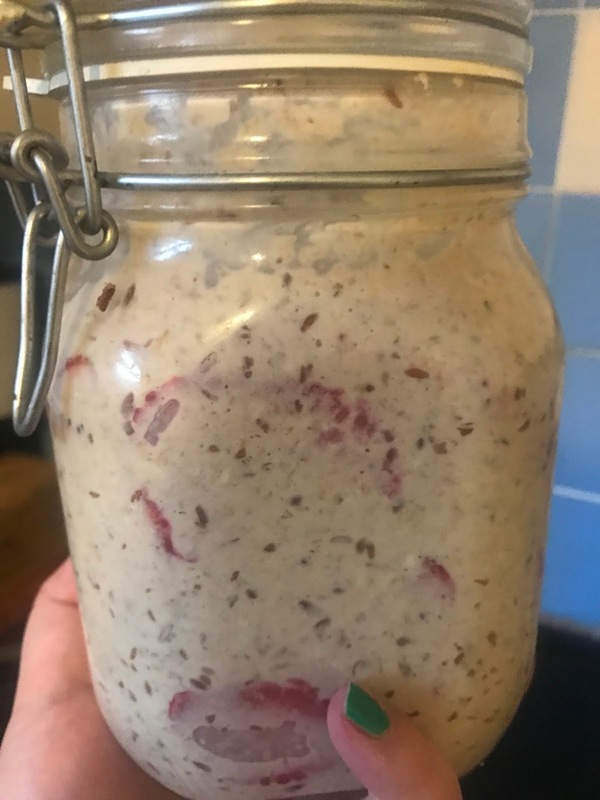 I filled the rest of the jar with Strawberries and two teaspoons of Chia and Flak seeds. I then drizzled a far bit of honey on it. All ready for the next couple of mornings before work. So finally, as you might know, I turned fully Vegan at the start of the year. 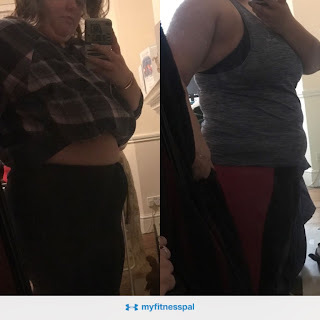 Until now I had just been glancing at the scales every now and again. Now I'm happy to say that my weight has been going down, over a stone has gone. On the left I was ill and fully bloated (on the 22nd Dec) , on the right is me today on my first day back to the gym and second day of Yoga. I think that I am at the point that I've adjusted to all the changes and I'm excited to get back to the gym. So I think of my body at the moment as work in progress, I'm trying very hard to listen to my body and fuel it with food that it needs. Rather than poisoning it with food that it cannot process (aka dairy). I am feeling alot more energised and I found spinning today alot easier than I did last year. Let me know if you make any of the above food!